Scholar Spotlight: Meet Imyni Seals! Imyni is this month’s Scholar in the spotlight! She is a graduate of Resolute Academy and member of Cohort I of Onward Scholars at SMA. 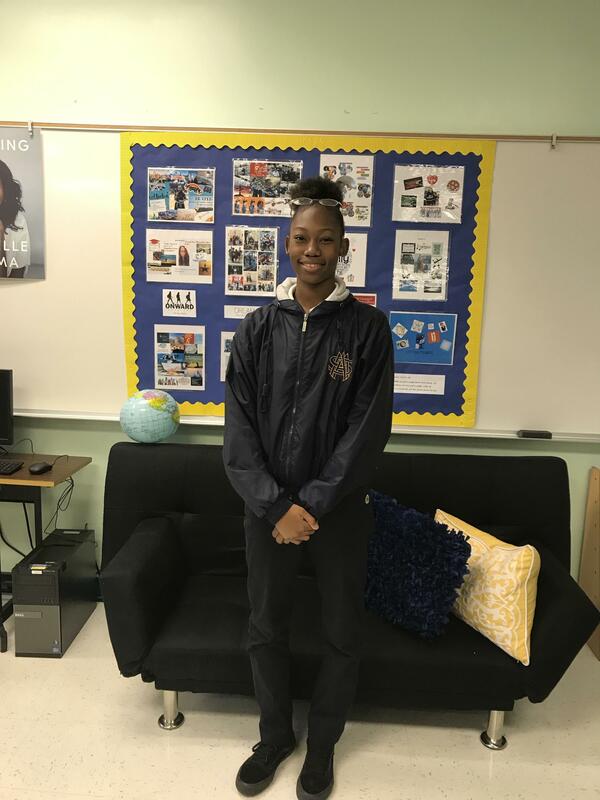 A talented athlete, Imyni has been making valuable contributions to the JV basketball team. What she enjoys most about being part of the Belle basketball program are “getting to create a bond on and off the court” and “experiencing new things together”. Imyni attributes her academic success to “being open to learning new things, paying attention, breaking down material into small chunks, and asking for help if I need it”. She also says she consistently reads the comments that teachers provide on her assignments and incorporates the feedback into future assignments. We are so proud of the big strides you made during the 1st semester- the hard work and grit you demonstrated paid off, Imyni. Keep up the great work! Congratulations and continued success to you!